Samaritan's Purse is a Christian relief organization dedicated to saving lives and reducing suffering caused by wars, disease, famine and natural disasters. We work in 100 countries across the globe. Each gift to Samaritan’s Purse makes a real difference in the lives of the people we serve. In 2015, eighty-eight percent of every dollar was used directly for programs, while seven percent was used for fundraising and five percent for administration. On a tangible level, our international emergency relief is an example of the impact a donation can have on the lives of people affected by natural or manmade disasters. Having lost their loved ones, home, or personal belongings, people affected by disaster often lack basic necessities such as food, water, shelter, and medicine. For as little as $45, we can supply hurting families with emergency supplies that will meet their needs today and give them hope for tomorrow. When responding to a disaster, a Samaritan’s Purse assessment team deploys to the affected area as soon as possible to determine specific needs. They are soon followed by a Disaster Assistance Response Team (DART) as well as all the necessary equipment and aid needed for the response. By quickly responding to disasters around the world, Samaritan’s Purse can meet the desperate physical needs of those who are hurting most, creating opportunities for us to share hope. 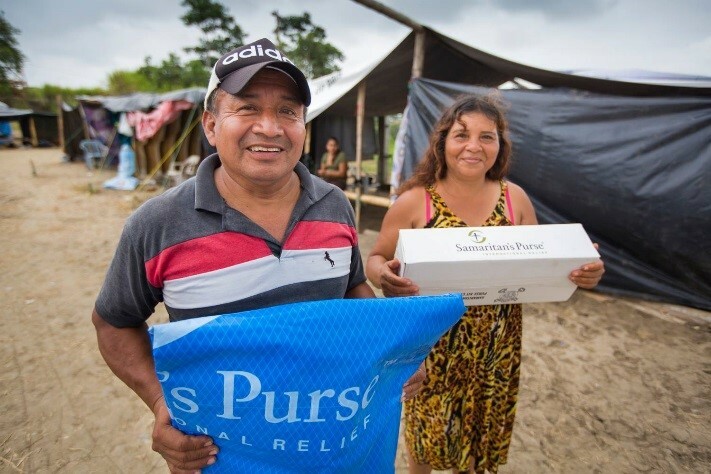 For over 45 years, Samaritan’s Purse has provided physical and spiritual aid to the world’s poor, sick, and suffering as an example from the Bible story of the Good Samaritan. Our programs and disaster response teams are an effective means of reaching hurting people in countries around the world with food, medicine, and other assistance in the Name of Jesus Christ. When disasters strike around the world, DARTs are deployed to meet the needs of victims, including providing food, water, medical assistance, temporary shelter, and other necessities. For disasters in the United States, our U.S. 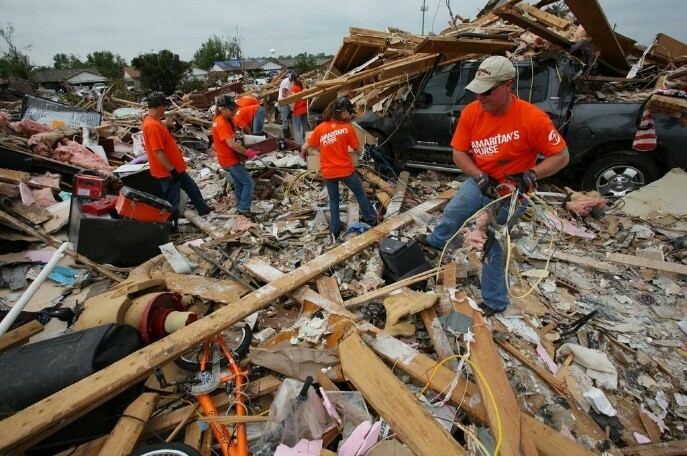 Disaster Relief staff and volunteers respond by providing physical help and spiritual comfort to victims of tornadoes, hurricanes, wildfires, floods and other natural disasters. We also often stay behind after the initial response to rebuild or restore houses for families in need. Our community development and vocational training projects help people break the cycle of poverty, giving them hope for a better future. We reach vulnerable women and children through education, feeding, and life-saving surgeries that promote their health and importance to society. We provide quality medical treatment through our medical projects, and supply mission hospitals with much-needed equipment and supplies. Operation Christmas Child delivers millions of shoebox gifts to needy children around the world, letting them know they are loved. Children’s Heart Project arranges life-saving operations for hundreds of children who live in countries where the required medical expertise and equipment are not available. And Operation Heal Our Patriots gives wounded veterans and their spouses the opportunity for spiritual refreshment, physical renewal, and marriage enrichment by participating in seminars and outdoor activities at our Alaskan wilderness lodge. By emphasizing sustainability and local investment in projects, Samaritan’s Purse is helping impoverished people to break the cycle of poverty. With major disasters occurring more frequently, we are also able to make an immediate difference in the lives of those most affected, in the U.S. and around the world. Samaritan’s Purse deploys to locations where other non-governmental organizations (NGOs) may be withdrawing. For example, Samaritan’s Purse was one of only two NGOs providing a clinical response to the Ebola outbreak in Liberia, where all other NGOs had evacuated their staff. We are highly motivated to minimize the overhead and maximize the number of people whose lives will be impacted. Last year our overhead was 12% allowing us to provide 88% to the actual project. We provide counselling/therapy care for our staff abroad to avert burnout and enhance productivity. We hire more National staff (versus expatriate) in-country to ensure relevance, buy-in/ownership, and sustainability. Deploying an emergency field hospital and medical staff to assist after the Ecuador earthquake in April 2016. Assisting 1,411 families in 14 states through U.S. Disaster Relief. Feeding 75,000 refugees in Greece as a response to the European refugee crisis. Collecting over 11.2 million shoebox gifts to be delivered to children in 109 countries. Reaching a milestone through Operation Heal Our Patriots by hosting and counseling over 500 veteran couples since 2012. Providing food, clean water, shelter, and other essentials to 60,000+ families in Nepal after the April 2015 earthquake. Providing medical services in 34 countries through 986 medical professionals volunteering with World Medical Mission. Distributing 19,800 dairy goats and other livestock in impoverished countries to provide sources of income and food for families. At Samaritan’s Purse, we believe that “all we have comes from God and we give it out of His hand” (1 Chronicles 29:14b, Dutch paraphrase). Our Board appoints an audit committee, the majority of whom are not staff members or their relatives, to review the annual audit and report its findings to the Board. Our fund-raising appeals clearly identify the purpose and programs to which donations will be applied, and we ensure that donations are used for the purposes for which they were raised. Our Board has directed that all contributions designated for specific projects shall be applied to those projects, and we may assess up to 10 percent to be used for administering the gift. Our financial statements are prepared in accordance with generally accepted accounting principles. We obtain an annual audit in accordance with generally accepted auditing standards by an independent public accounting firm, Dixon Hughes Goodman LLP. Copies of our current audited financial statements are available upon request or can be downloaded from this website (see links above). 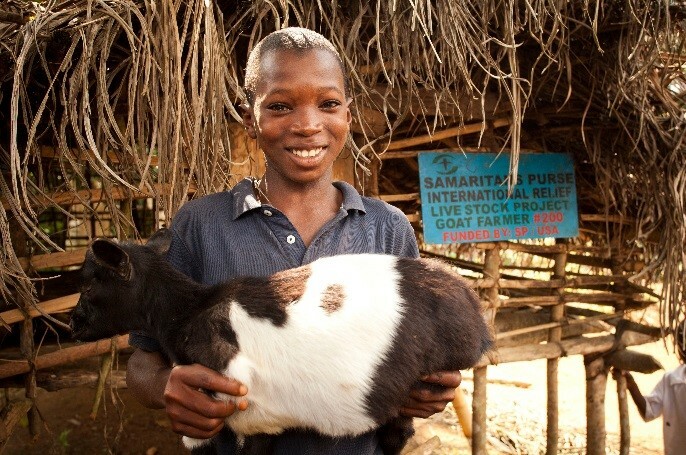 Animal Projects provide resources and training for poor families in developing countries. International disaster response teams provide food, water, shelter, medical care & other necessities. 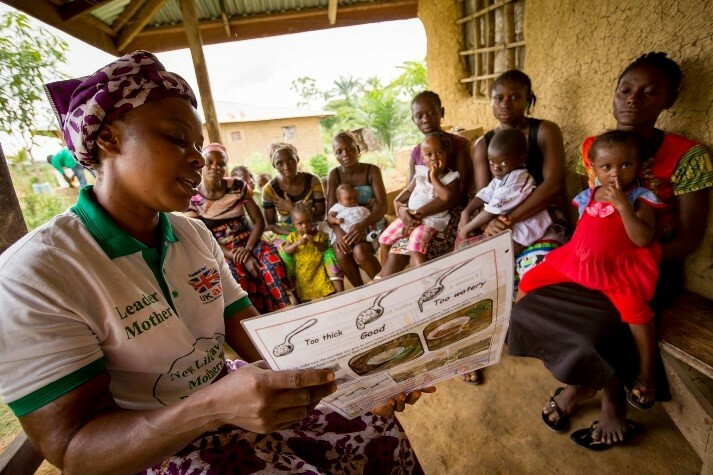 Maternal and Child Health projects teach women how to care for their babies, before and after birth. Disaster Relief staff and volunteers provide emergency aid to U.S. victims of natural disasters.